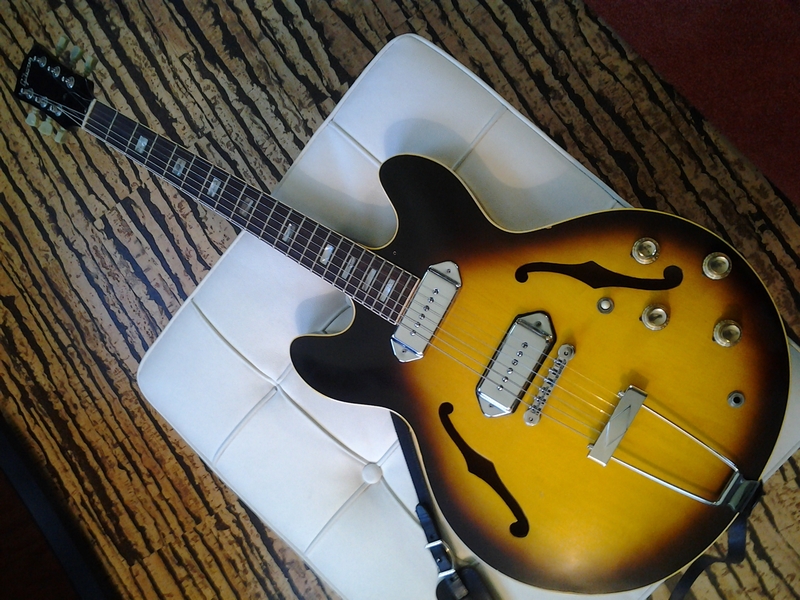 I had been shopping old and new 330s and Casinos for a year, maybe, when I found this nicely refretted ’66. New tuners and the lovely refret to lower the value, no breaks, everything else was original, and it was late enough to have nickel covers. . .
. . . but still early enough to have the 16th fret neck joint. 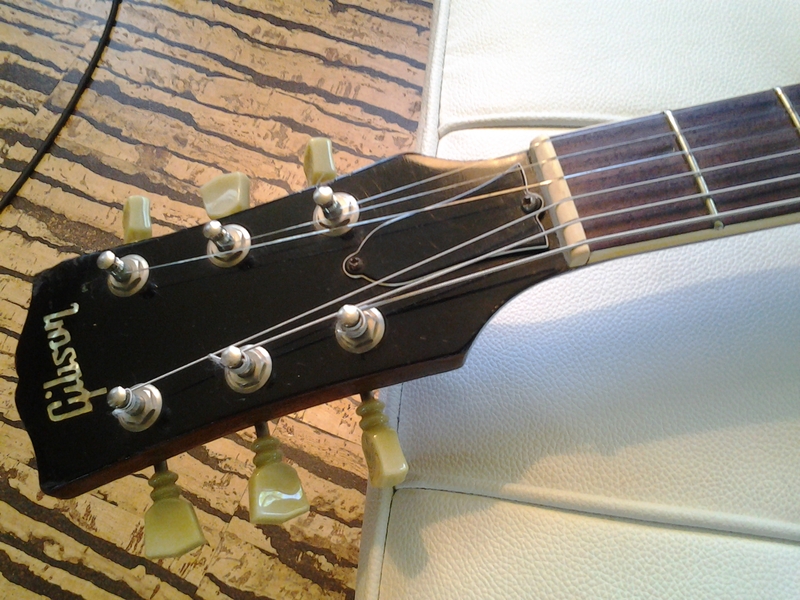 For a while, what sounded like the tailpiece rattled a tiny rattle no matter what I did, but the problem turned out to be very simple: the threaded bridge posts weren’t tight in the body. I only figured that out, however, when I swapped out the original abr1 for a Callaham replacement, maybe partly to get at the rattle, but also because of my prior revelatory experiences with Callaham, zinc, and steel. 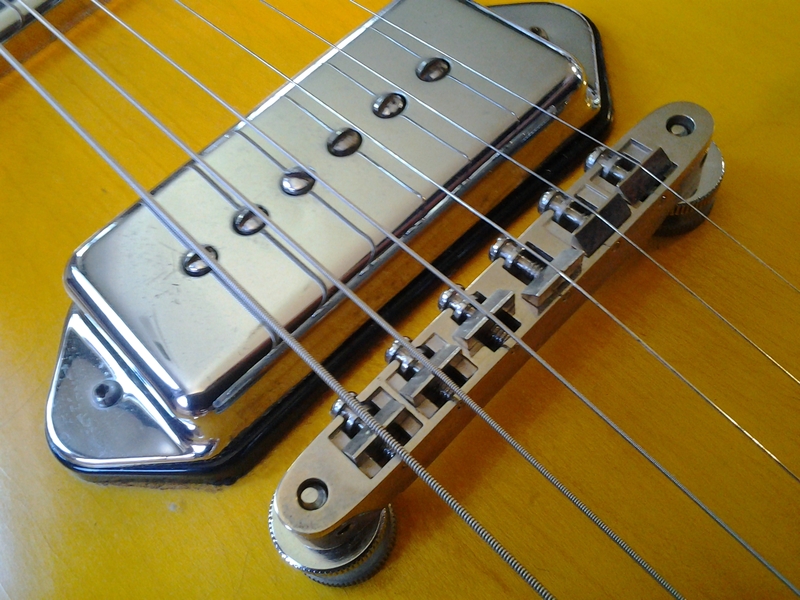 These bridges are a whole lot better than the stock zinc and nylon ones in most situations, and this one is certainly the reason Gibson guys can never get over how good the guitar sounds. I swapped out the posts when I installed it, and that’s what finally killed that nagging, tiny rattle. I knew as soon as I’d replaced the first post that I’d found it. It made me feel more stupid than brilliant, but I was very happy with the result. 330s have a lot of personality, and they aren’t one thing. They can sound towering and untamed or shakey, fragile, and lofi, but they always sound woody and, with the nickel covers, a little grainy. I took the pickguard off after a while. Nothing is cooler than a 330 when you’re looking for feedback. Sometimes you have to thump it on top to the right of the handle. 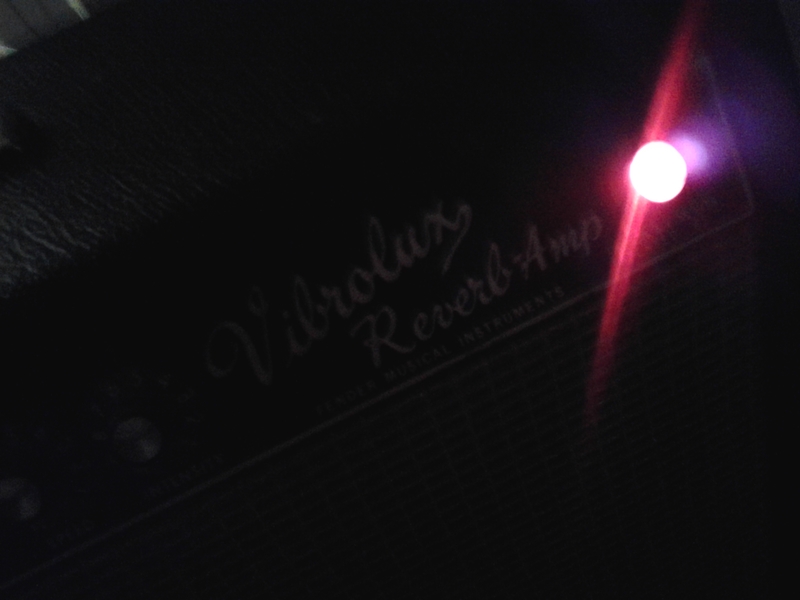 I’d always imagined getting hold of a blackface Vibrolux Reverb, but I didn’t really expect to have one show up where I could play it. It’s a great one. A ’66. There’s something about that year for me. Things from that year keep falling into my lap. I traded the Vox toward it. The 330 loves this amp, and the amp loves it right back, but it sounds terrific through anything with tubes. 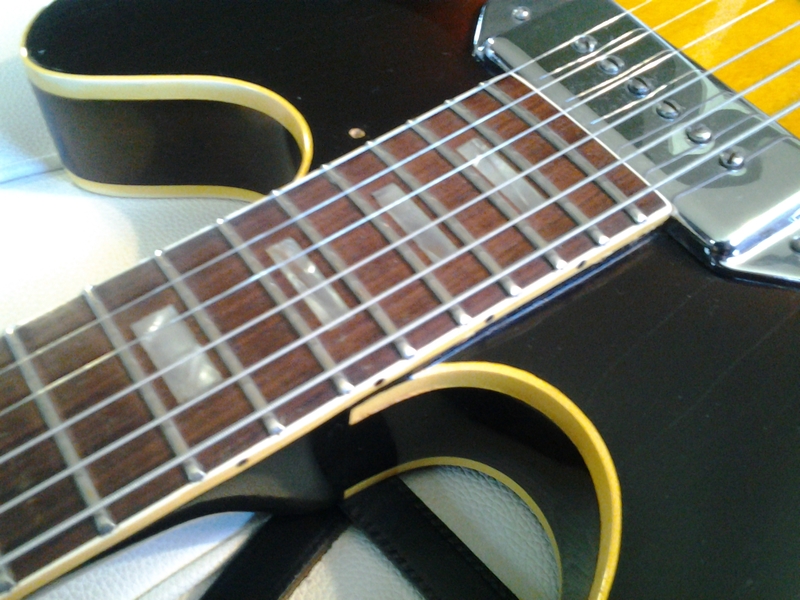 I’ve restrung it now with https://www.thegts.co 11-49s, and it sounds that much better again.